The Liberty 3 in. Flat Black Birdcage Wire Pull will give your cabinetry a look of sophistication. It features a center-to-center, rear-mount design for easy installation. The metal base material is durable, and the pull is finished in a classic flat black. Includes two 8-32 x 1 in. machine screws for easy rear mount installation. This casual design adds sophistication and elegance to your cabinetry or furniture. Multiple finishes and sizes available. Installs easily with included hardware for an instant, noticeable change. The Liberty 3 in. Satin Nickel Pull offers clean, elegant lines and accents kitchen or bathroom cabinetry beautifully. It features a 3 in. center-to-center, rear-mount design for easy installation. The metal base material is built to last and is covered in a satin nickel finish. Includes two 8-32 x 1 in. machine screws for easy rear mount installation. The Liberty 3 in. Antique English Decorative Edge Spoon Foot Pull is a beautiful combination of traditional and modern styles. It features a 3 in. center-to-center, rear-mount design for easy installation. The metal base material is built for longevity. 3 in. Birdcage Wire Pull The Liberty 3 in. Flat Black Birdcage Wire Pull will give your cabinetry a look of sophistication. It features a center-to-center, rear-mount design for easy installation. 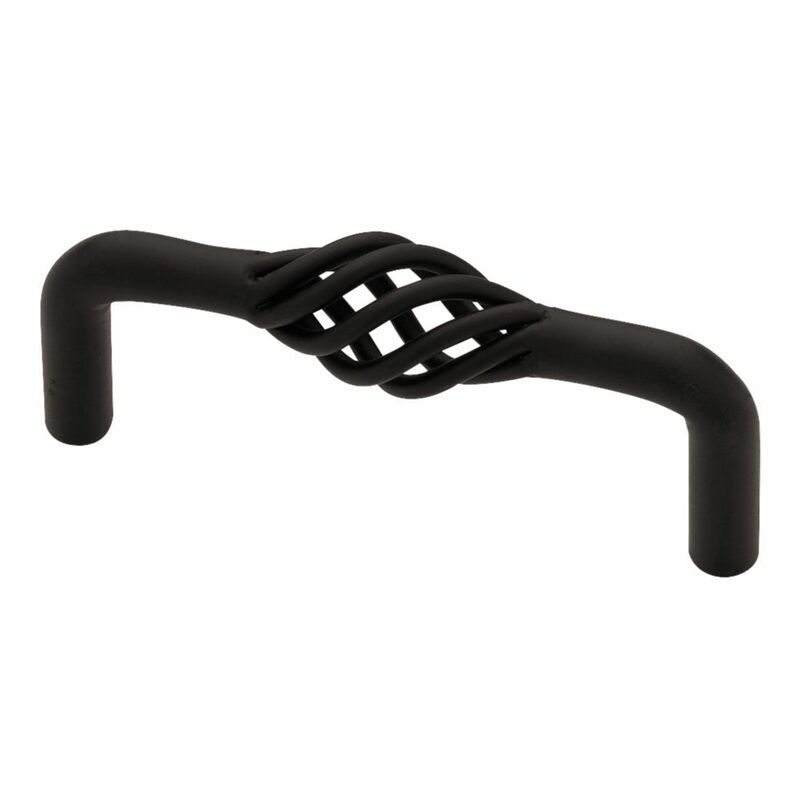 The metal base material is durable, and the pull is finished in a classic flat black. Includes two 8-32 x 1 in. machine screws for easy rear mount installation. 3 in. Birdcage Wire Pull is rated 4.9 out of 5 by 23. Rated 5 out of 5 by Pam from Looks perfect on our dark cabinets. Very satisfied.... Looks perfect on our dark cabinets. Very satisfied. Rated 5 out of 5 by Irene from Perfect fit, perfect look!... Perfect fit, perfect look! Rated 5 out of 5 by PJRob from These look so nice in our guest bath.... These look so nice in our guest bath. Rated 5 out of 5 by Don from They added a perfect touch to both our black and... They added a perfect touch to both our black and grey cabinets.